The Beastmaster always had a way with animals, a gift he retained after being turned into a fearsome puppet riding a wooden rocking horse. He spends his time behind the stove in the kitchen of the hut, training vicious mole rats to fight for the Traditionalists, using captured Resistance puppets as training dummies. 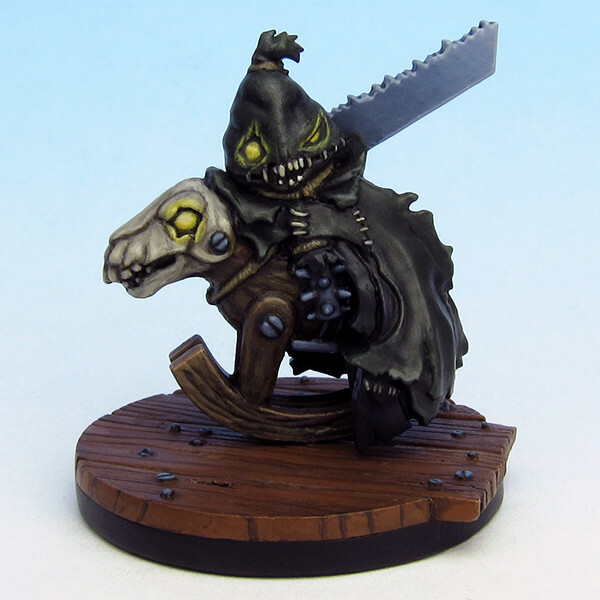 This entry was posted in New Minis and tagged Puppet Wars, RPG, Wyrd Miniatures by Grey. Bookmark the permalink.